Click Here to View Catalog Online! please use our online catalog and price sheet above. 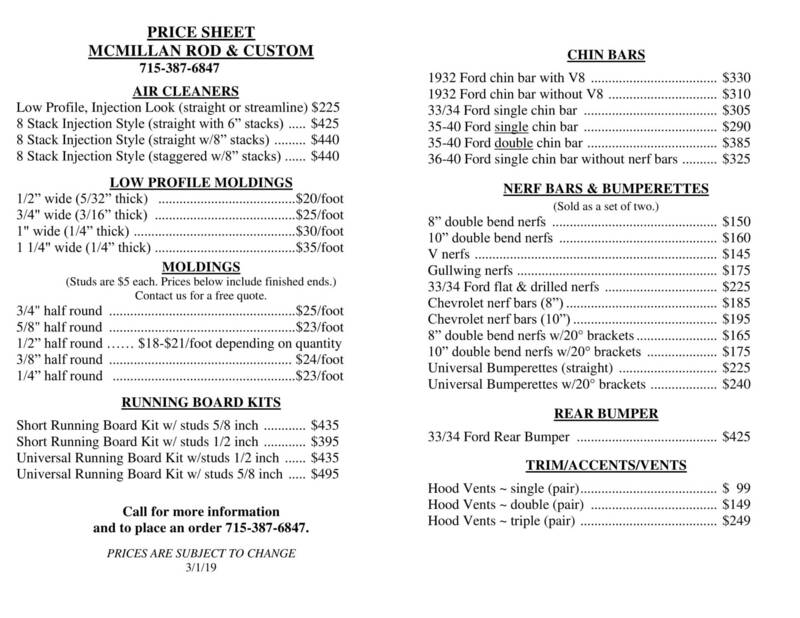 How did you hear about McMillan Rod and Custom?